Home Around The NFL Dennis Byrd: Gone but never forgotten. Dennis Byrd: Gone but never forgotten. Dennis Byrd, who’s life incidents have become one of the most inspirational stories in the history of the NFL. 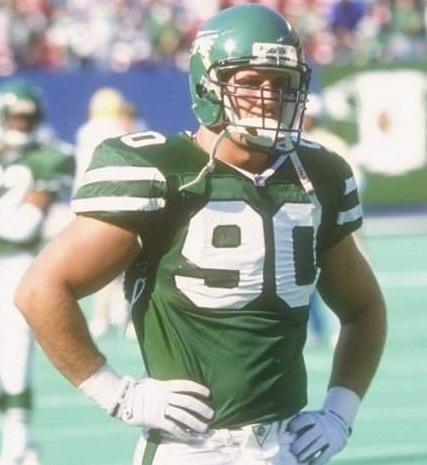 Byrd was a former New York Jets lineman, who suffered a fractured vertebra when he collided with his teammate, Scott Mersereau while trying to make a sack on Kansas City QB, Dave Kreig, in 1992. Doctors were unsure as to the possibility of Byrd ever being able to walk again. The odds were stacked against him. However, Dennis Byrd defied all odds and within a few months began the walking process. In 1993, Byrd walked out onto Jets field, during the home opener, as an honorary captain for the coin toss. His number was retired in 2012, and no one has ever worn the number 90 again. Saturday night while traveling near his hometown in Oklahoma, Byrd’s hummer was hit by an oncoming 2000 Ford Explorer that had crossed the center line of the highway. Byrd was pronounced dead at the scene, and his 12-year-old passenger was transported to a local hospital, in critical condition. The driver of the Explorer was 17-years old and was also transported to the hospital in critical condition. Dennis Byrd may have left us early but his inspirational story will always be with us and he will never be forgotten. He was 50 years of age. Austin Seferian-Jenkins: Off the ship to on the Wagon. Ravens corner Tray Walker involved in a life threatening accident. Pat Summitt: Inspiration for generations to come. Previous articleNEW SEGMENT- Week six game picks with Russ B.